Hi there, friends! We have arrived at my favorite day of the week, Sunday! Have I mentioned why? It's my day to sleep late, day off from the gym, and my one and only day to cook a hot breakfast while still in my jammies. Bliss! Oh, and of course it's a day to get crafty, and time for a new challenge from The Paper Players. 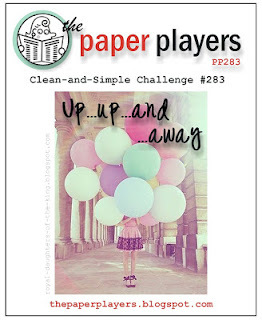 This week our fabulous Joanne has a fabulous theme challenge, Up, Up and Away! 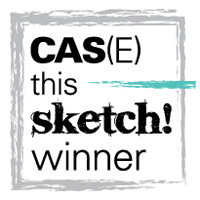 I must admit that I had something entirely different in mind for this challenge, but when I saw that my fellow teamies all made cards with balloons I figured I better get with the program! Not a problem, I have lots of balloon themed products, and I am always in need of birthday cards. This one features stamps from Technique Tuesday, Dies from Simon Says Stamp, and the pretty patterned paper is from my favorite stack by Echo Park. I'll post my alternate project later this week. 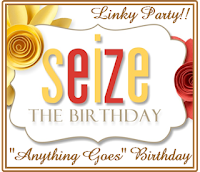 I'm also linking up with the Anything Goes challenge at Seize the Birthday. Thank for stopping by, and I hope you'll visit the rest of the team at The Paper Players, and play along too! What a perfectly balanced card, Sandy. 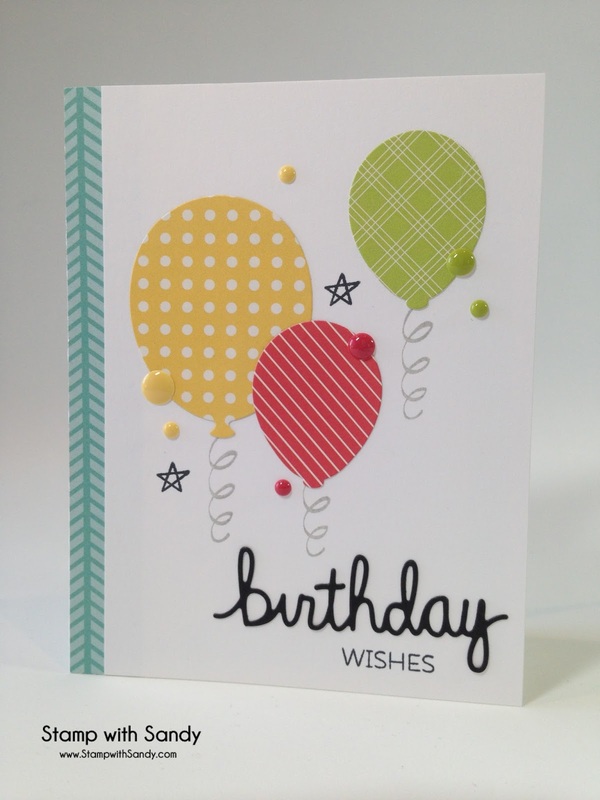 Great colors, love those curly-cue strings and your enamel dots add just the right amount of shine! Great card, my friend! Great collection of papers Sandy! Your card is super cute! 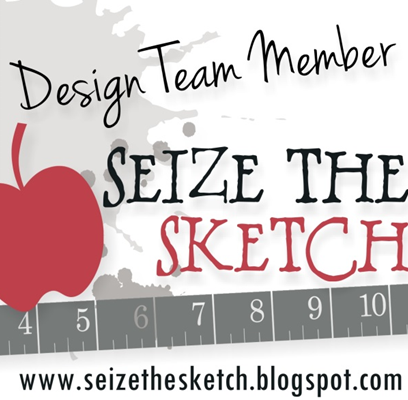 Thanks for linking up with us over at Seize the Birthday...enjoy the rest of your Sunday! I really like those curly balloon strings..they just make the card so fun and whimsical! 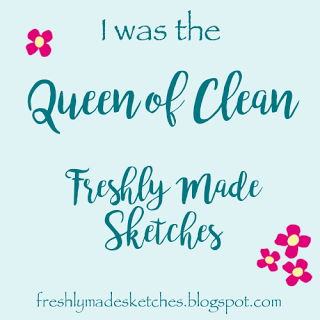 And the enamel dots...they are a favorite of mine...whatever did we do before we them? 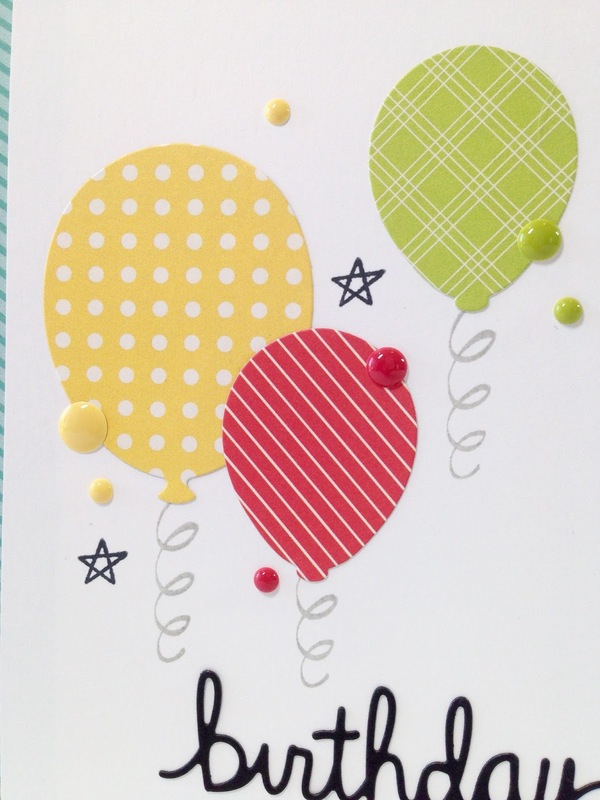 They are adorable on your card!Have a great day Sandy! 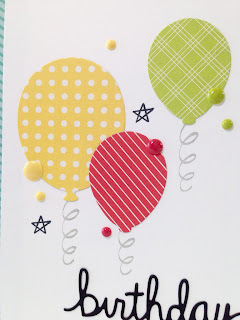 I love these bright patterned balloons with their curly strings Sandy and the addition of the enamel dots really takes your CAS card up a notch - fabulous! Now am I the only one wondering what you had in mind for my challenge this week before you saw our balloon cards?! I'm intrigued ...! Your patterned balloons are adorable! 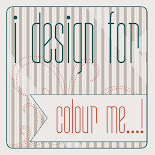 Love the bright colors and enamel dots! Sweet curly strings! Love your colorful balloons from the DSP. Great birthday card. Thanks for sharing with us at Seize the Birthday.